Robert Luff & Co are delighted to offer this modern house built in 2017 and situated in the sought after location of Ferring with access to shops, schools, A259 and links to A27 and A24 nearby. The mainline railway station of Goring serving London, Brighton, Southampton and Portsmouth is just over a mile away. The property has spacious rooms, comprising of four beds, living room, 17'8" kitchen/dining room, family bathroom/w.c, en-suite shower/w.c, cloakroom/w.c, garage and parking and a nice size rear garden with the remainder of NHBC certificate. Internal viewing is essential to fully appreciate this home. 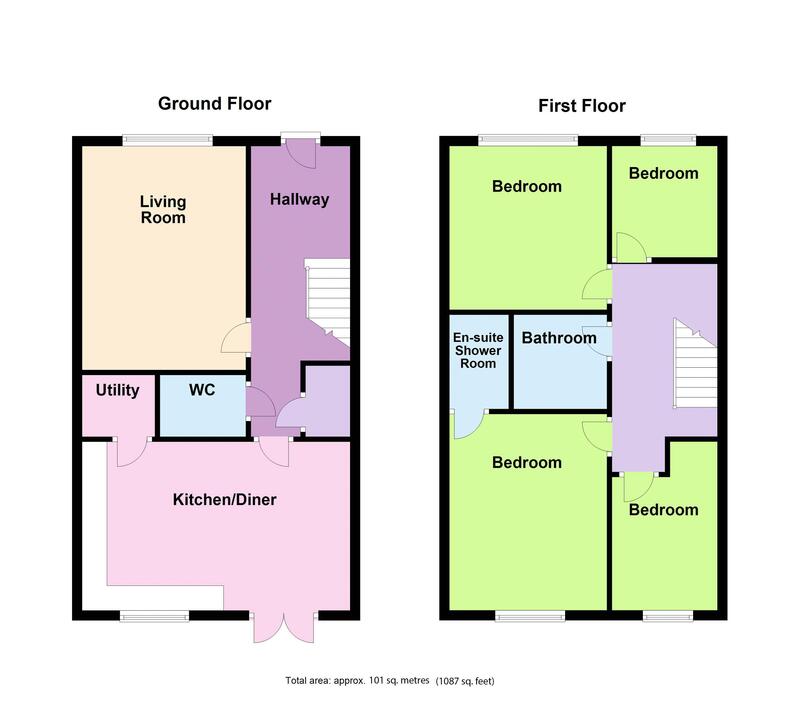 Obscured double glazed front door, radiator, wall mounted electic circuit breaker fuse board, smooth ceiling with spotlights and smoke detector, wall mounted timer control unit for central heating and hot water, recessed storage cupboard. Double glazed window to front aspect, TV point, radiator. Work top with cupboard below housing washer/dryer. Close coupled low-level w.c, pedestal wash hand basin and mixer tap, radiator, smooth ceiling and extractor. Close coupled low-level w.c, pedestal wash hand basin, part tiled walls, heated towel rail, smooth ceiling with extractor, towel rail, smooth ceiling with extractor, walk in shower with glass doors. Double glazed window, radiator, smooth ceiling. Panelled bath, shower screen, mixer tap with wall mounted shower, pedestal wash hand basin, close coupled low-level w.c, part tiled walls, smooth ceiling with extractor, heated towel rail. Laid to lawn, patio area, side storage enclosed by panelled fencing and brick wall to rear. Up and over door, with parking in front which is situated around the corner from the house. The property has solar panels fitted for efficient energy for the house.